With IE9 in development and Opera 10.5 released, CSS3 is a few steps away from being supported by all modern browsers. But users may take a while to upgrade, and responsible developers will support legacy browsers for years to come. For some, cross-browser development means making websites that look exactly the same in all browsers. But if developers continue to cater websites to inadequate browsers such as IE6, then they’re just holding back modern browsers from performing to their potential. Graceful degradation is not about allowing websites to look bad in older browsers, but about making them look great in modern ones. It means taking advantage of CSS3’s useful features to progressively enhance web pages for the vast majority of users. Fortunately, most CSS3 properties degrade fairly nicely on their own. Rounded corners become square, gradients become flat colors, and transitions become hard changes. Determine which elements are visually essential. Could text-shadows drop off or rounded corners be made square? If styling is going to drop off, determine in which browsers degradation is acceptable. Make this decision based on the website’s usage across different browsers and versions. This is one of those instances when analytics (or historical data in the absence of analytics) should inform website design. Finally, pay particular attention to UI elements. Are CSS3 properties being used to convey crucial interface elements, such as clickable buttons and active states? Websites usually have at least a few visual elements that are essential to their design. Fortunately, most CSS3 features are easily supported across all major browsers. While image support is always an option, CSS3 styles can usually be supported without relying on images. Background gradients can be rendered in IE using the IE gradient filter. Next, let’s extend this example to IE. We’ll want to call this next bit of CSS for IE only; by using a browser conditional, for instance. Although useful, IE’s gradient filter has a couple of drawbacks: it doesn’t support color stop, and it doesn’t support angled or radial gradients. For these, you’ll have to stick to image support. Additionally, this method works only for backgrounds, not borders, text, etc. Beyond IE, background gradients can be supported in Opera via canvas. But a number of tricks are available for supporting alpha transparency as well. First and probably most obvious is CSS opacity. But opacity has a number of drawbacks, namely that it is inherited by child elements. This gives our button’s background color the correct opacity of 80%, but this opacity is in turn inherited by all of its descendants, such as the button’s text. The trick here is that IE’s gradient filter accepts color inputs with alpha values, so we simply set both the start and end colors to our desired RGBa color. But the color format is a bit strange: it starts with 80 for 80% transparency, followed by the Hex value 32c896 for rgb( 50, 200, 150). Finally, make sure to set the background to transparent, otherwise the background color will show beneath the alpha transparency. Rounded corners can be achieved in IE using a simple .htc hack. Next, let’s incorporate the .htc hack for IE. This hack is handy but comes with a major caveat: it can only round all four corners equally. To round each corner differently, sticking to image support is best. Image support is also best for elements whose dimensions change dynamically. Box shadows can be supported in IE using the shadow filter. In this filter, color lines up with box-shadow’s color setting, but Direction and Strength are a bit different. Direction needs to be calculated in degrees from the two offsets. In this example, we used 135 for 135° from the twelve o’clock position, which falls off to the bottom right. Unfortunately, the angle isn’t very precise and rounds to the 45° mark. So, 150 becomes 135°, and 170 becomes 180°. Strength is the shadow offset distance in pixels, with an equal blur value. In our example, the shadow falls off 5 pixels to the bottom-right, with a blur of 5 pixels. The differences in the Direction and Strength settings present a major drawback for IE’s shadow filter: the settings remain attached to the element and can’t be used with more advanced offset or blur values. The same shadow filter can also be used to apply text shadows by simply setting the element’s background to transparent. But the lack of proper offset values tends to make these look harsh. A more subtle technique for text shadows relies on IE’s glow and blur filters, but unfortunately they still fall short visually. This animation works in Chrome, Safari and Opera, but not in current versions of IE or Firefox. But even in the unsupported browsers, the transition degrades automatically to the basic hover states. Here, we’re checking the document style object to see whether transition is supported (in any of its various browser prefixes). 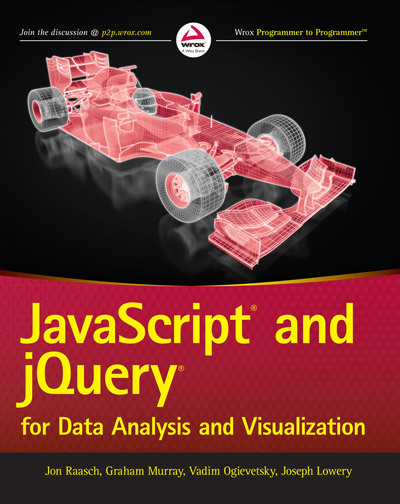 We could have used the jQuery browser object, but feature detection is a much better approach than browser sniffing. Here, we’re applying our hover and default CSS using jQuery’s animate() API. To match our CSS3 transition, we’ve set the animation duration to 500 milliseconds (or .5s) and assigned the “linear” easing method. One thing to notice is that on mouse-over, we apply the default CSS first using jQuery’s css() API, and then we call animate() with the hover CSS. We do this to override the :hover pseudo-class that we applied in our CSS. Now, our CSS transition works across all major browsers. This script can be modified to build transitions for any CSS property that is supported by jQuery.animate(). This technique works with any numeric CSS attribute. Additionally, jQuery UI extends the animate() function to support non-numeric attributes, such as color. Although still imperfect, CSS3 support is now available in all modern browsers except IE. IE’s filters and .htc hacks fill in most of the gaps but come with their own set of drawbacks. They are generally pretty quirky, and problems arise when trying to combine multiple filters. Additionally, these browser hacks are much slower than pure CSS alternatives. Ultimately, hacks for supporting CSS3 in unsupported browsers will always fall a bit short. But this shouldn’t hold back websites from performing as well as they should in more modern browsers. Simply put, websites don’t need to be experienced exactly the same way in every browser. This entry was posted on Tuesday, August 17th, 2010 at 8:57 am	in the category CSS. thanks, this is a really nice post. Yes nice post and the way to go actually when dealing with multiple browsers using CSS3. Agreed. Developing for newer browsers might also encourage people to upgrade. In the “RGBa” section, in discussing “filter: progid:DXImageTransform.Microsoft.gradient”, the 80 for the alpha value is NOT 80%, but is actually 0x80, where 0x00 is transparent and 0xff is opaque. 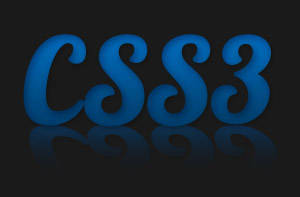 Thanks for share about css3, I like this. Bingo !! You have included the perfect concept for creating a better web design and added feasible web style for common internet users. It’s not possible that every internet user works on a modern browser hence , a web designer has to build a web design by including degradation CSS3 that can run on normal versions of major web browsers. I really appreciate the information that you have shared here. Graceful degradation ? CSS3 « Html-?????? ?